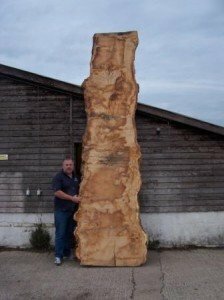 All our tables, bar tops, beds and furniture are made from rough edge timber to obtain raw edge timber, the tree is cut length ways along the trunk, so each slab has the natural edge of the tree running up each edge of the cut slab. 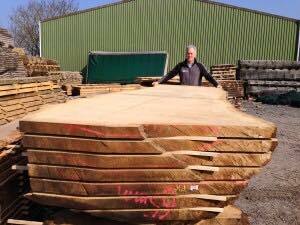 Each slab follows the exact contour of the tree on the outside edge, and it is these slab of timber that are called raw edge. 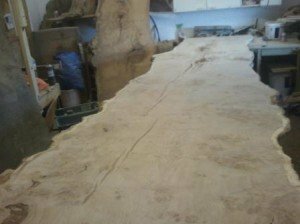 The timber then has to be levelled with a plane and belt sanded, the top then goes through a number stages, going through the grades until we have a finish which is good enough to put lacquer on. 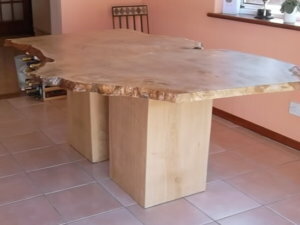 As we use rough edge timber slabs we can confidently say that all our tables are unique with no two ever the same. Bring one of our edge timber tables into your house is something that will bring a warm feeling to you, these tables are like bringing the outside directly into your home.